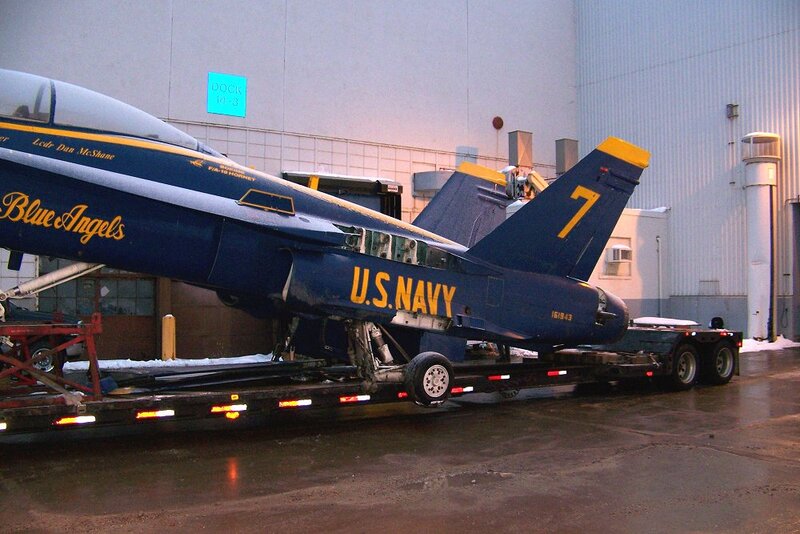 Navy 7 as it arrives at Detroit Science Center. 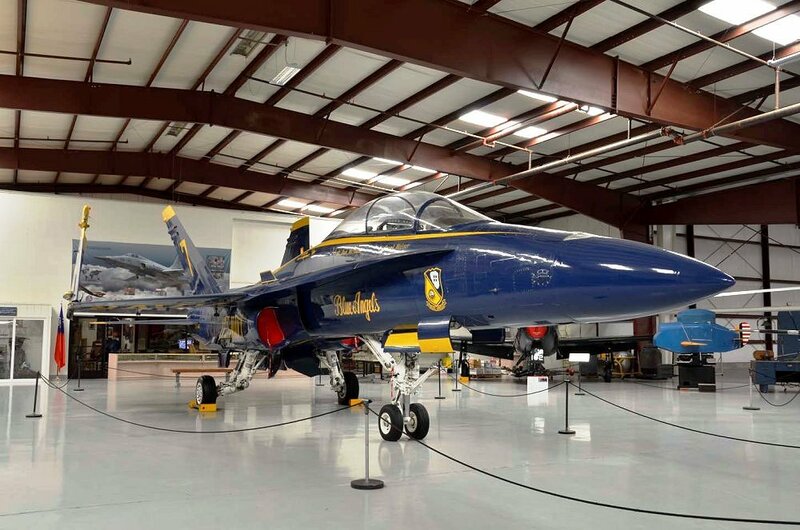 The plane, valued at $36 million, will be the centerpiece of a new exhibit gallery designed to excite and inspire young people to consider careers in aerospace and military technology. 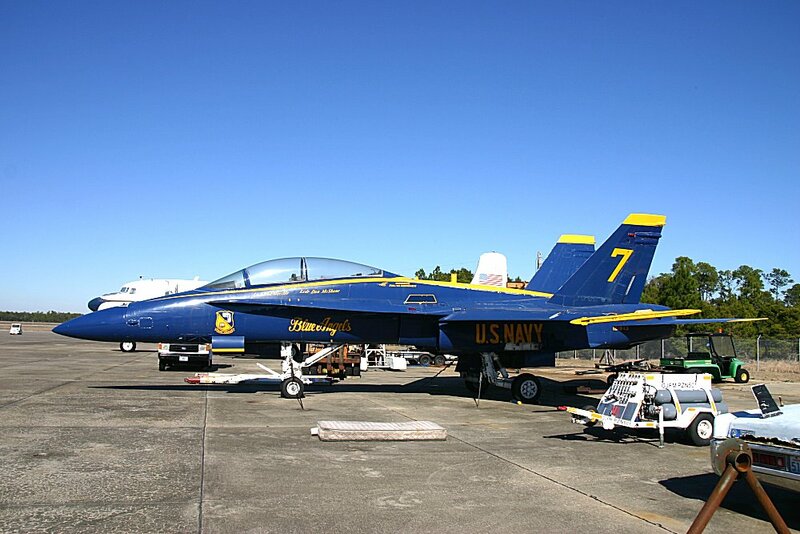 The Science Center went through an extensive, competitive process through the Naval Aviation Museum to obtain the rights to display the plane. 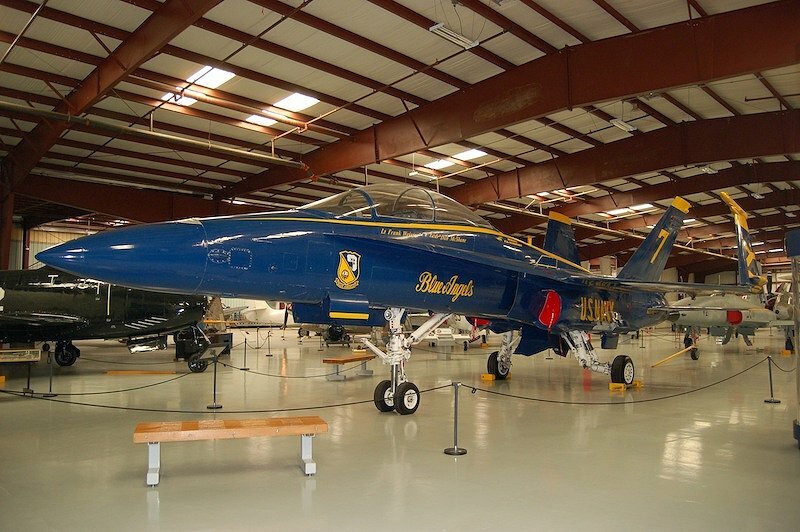 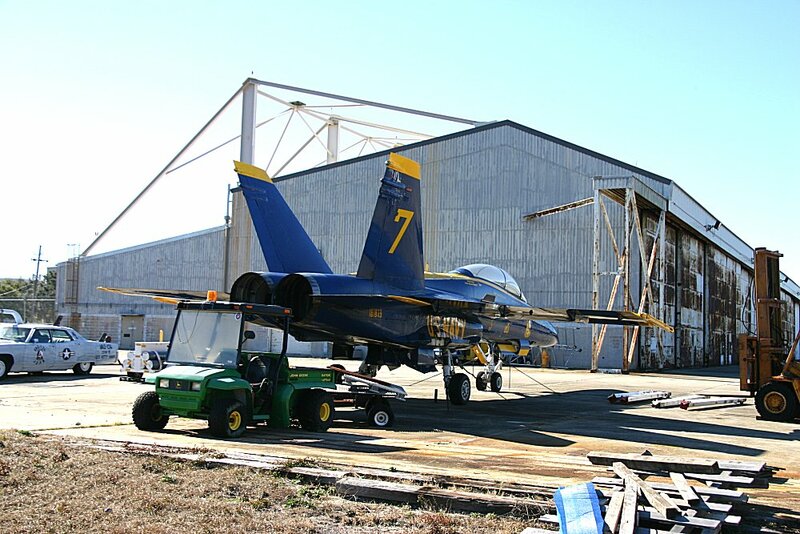 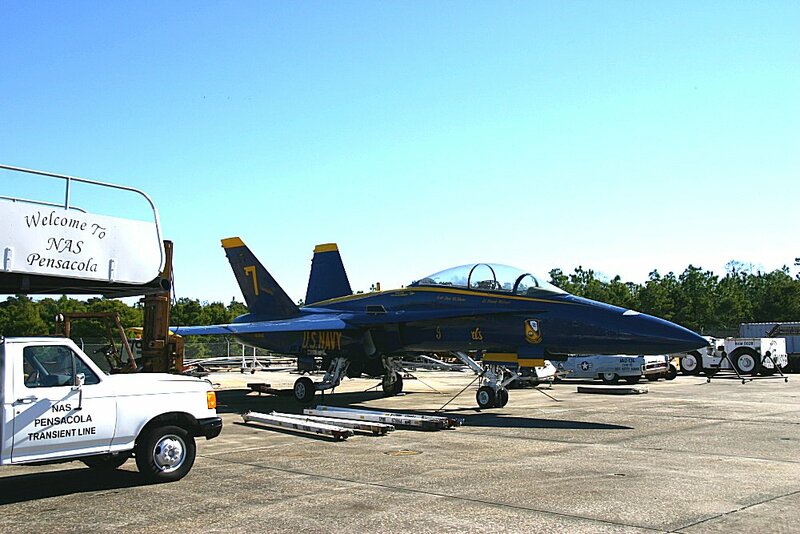 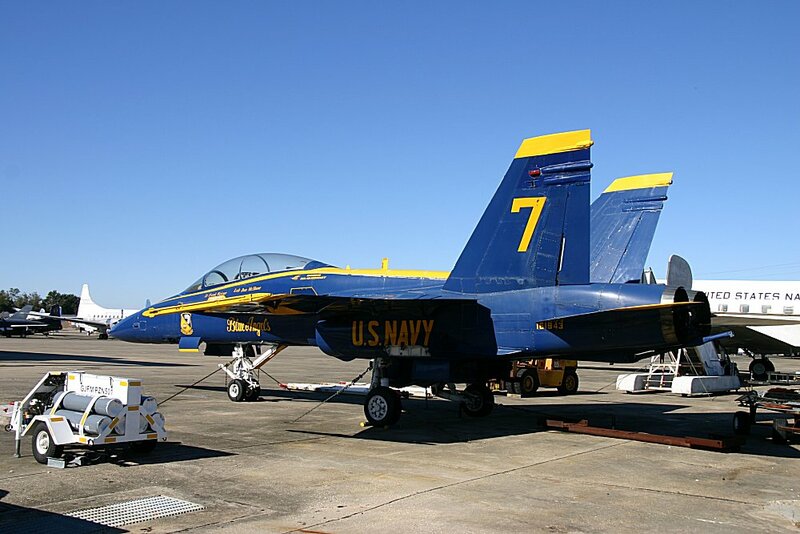 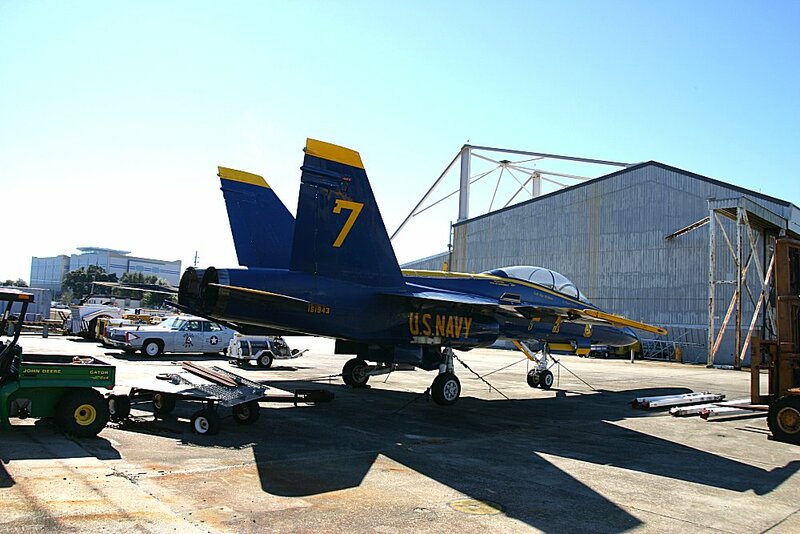 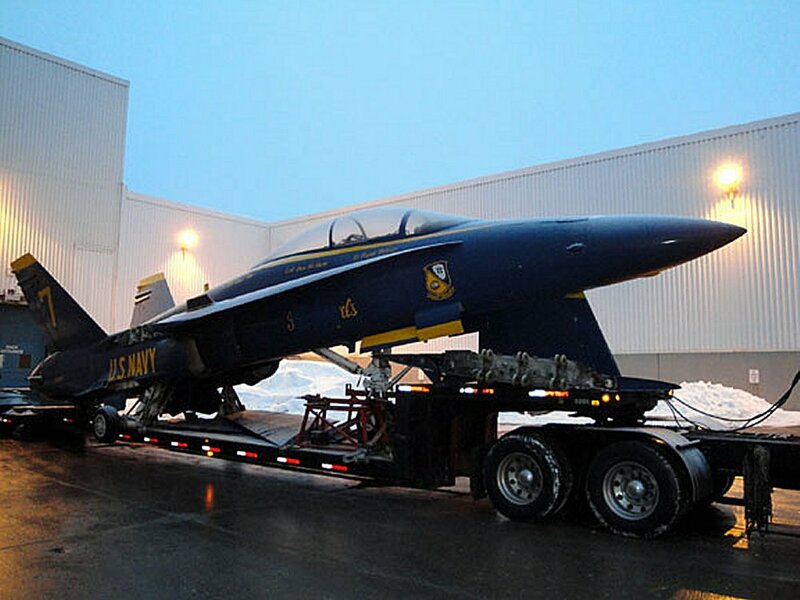 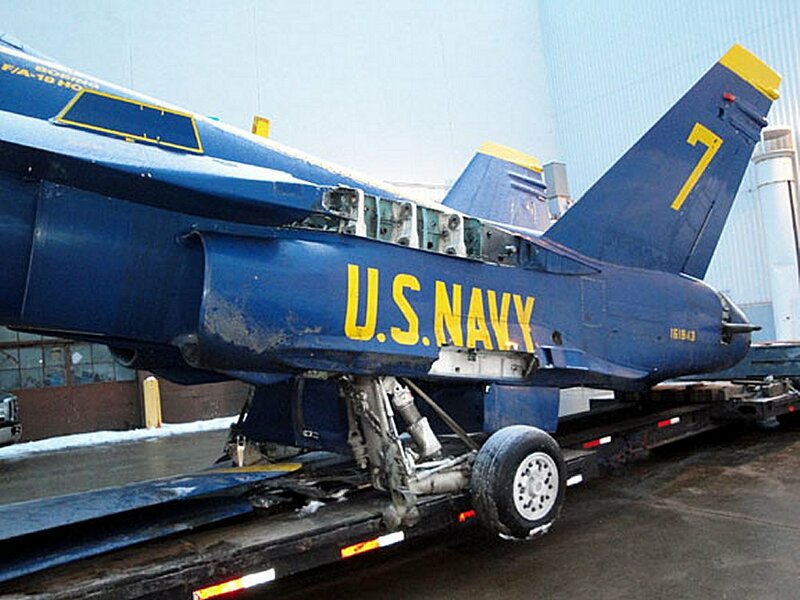 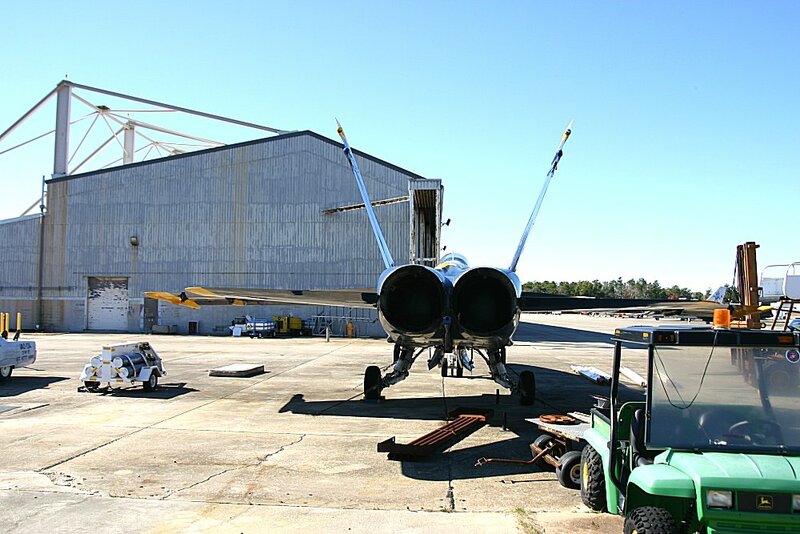 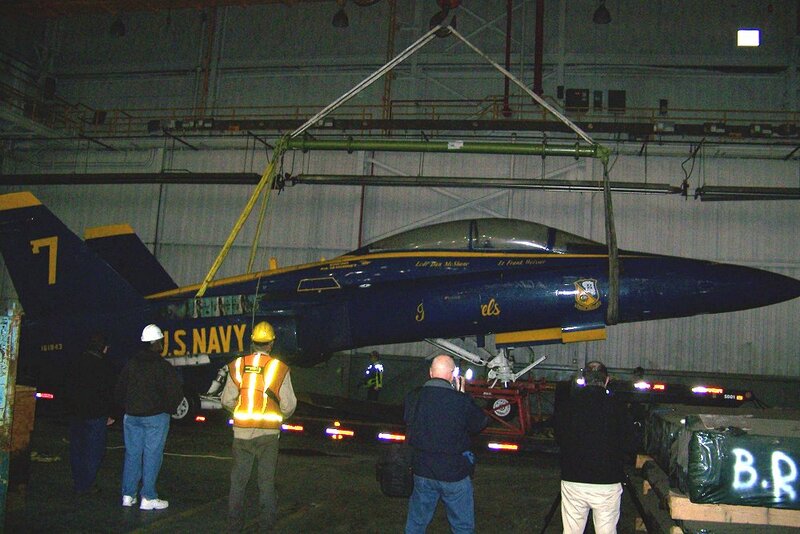 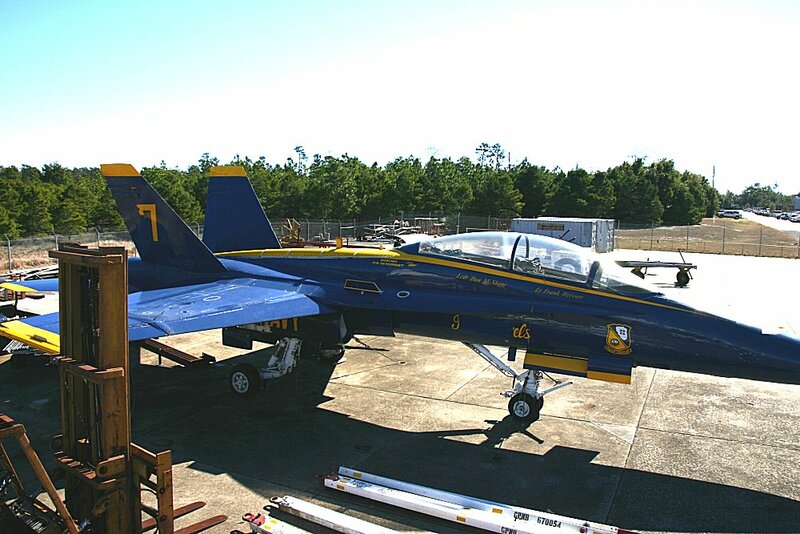 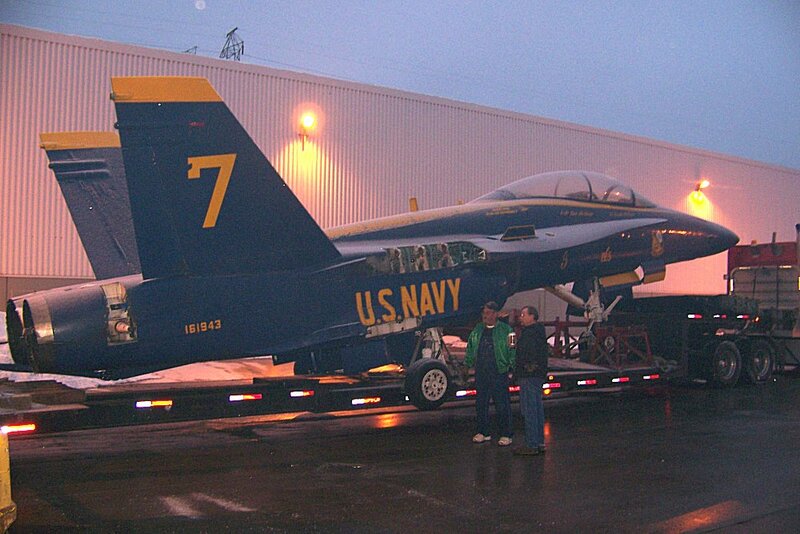 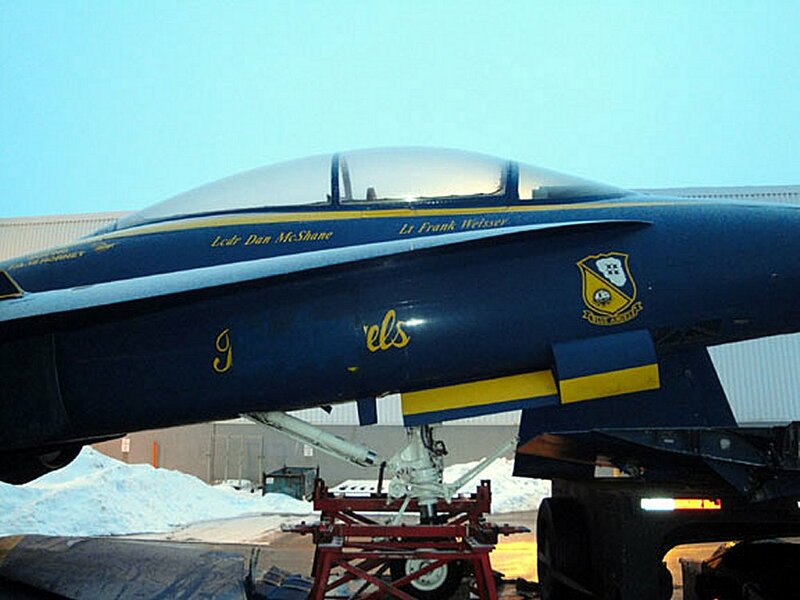 It would be the first Blue Angel F/A-18 to be displayed in a Michigan museum. 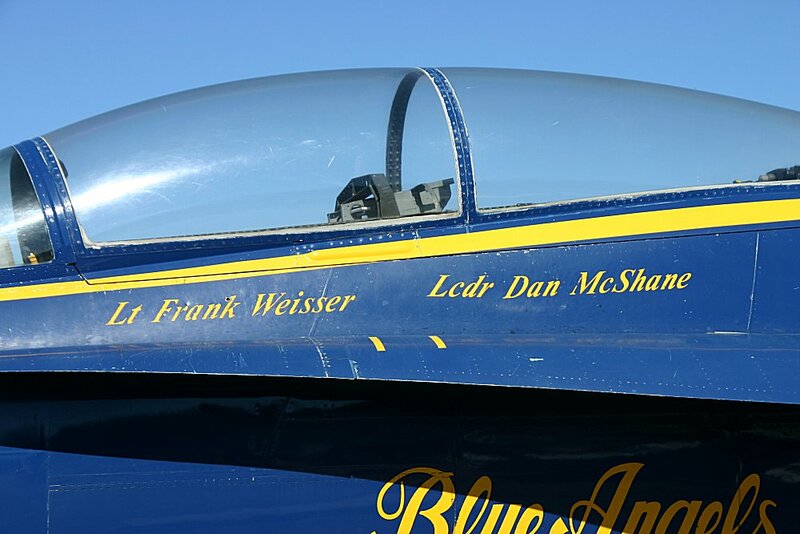 ©Photos at NAS were taken and copyrighted by Len Mozey.